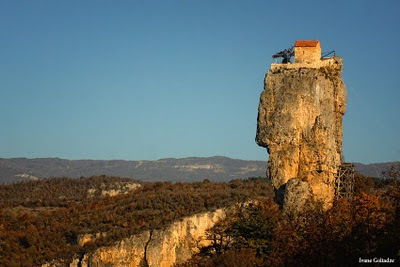 Since I was a child I dreamed of settling on the top of this pillar as other hermits did in ancient times. When I came here with my friends I envied the monk who had lived there long ago – now I am here too I am happy.The Church it is currently being restored by some volunteers. It does look a bit of a mess but I have seen a Church in Cyprus in no better a state and without the need to climb a rusty ladder to get to it. 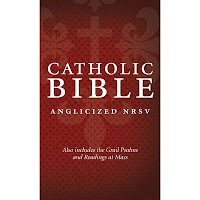 A new edition of the Bible aimed especially at Roman Catholics, including both the anglicized Catholic text of the NRSV translation, and the much loved Grail Psalms. For years, Catholics have been waiting for a Bible including both the NRSV Bible and the Grail Psalms. Now, it is here at last. The NRSV is increasingly becoming the most popular translation among Catholics, and it will be used in the new edition of the Lectionary which is coming soon. The much loved Grail Psalms are already in wide liturgical use, and will continue to be. The Greek Cross on the front of the book, and the decorated edges do help to emphasise that this is a book for the Divine Liturgy in which we worship God and beseech Him to sanctify us. 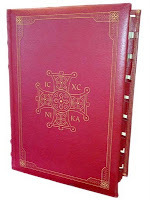 I am looking forward to further information about the Missal, and especially the illustrations that have been selected. Ava is one month old and has contracted meningitis. Her father has asked me to pray for her. I am remembering her in the memento at Mass and will celebrate Mass for her on Monday. Ava's father was happy for me to request prayers here. So please - Rosaries, Masses, Novenas, Divine Mercy chaplet, Holy Communions ... 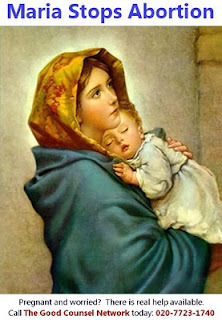 If you are not able to do anything else, please take a moment right now to say a Hail Mary. Don Paco of the Ite ad Thomam blog, has scanned hundreds of volumes for the Ite ad Thomam Out-of-Print Library. The amazing collection includes many text books would help you to earn that "Unreconstructed Ossified Manualist" mug: there are some real gems there. As well as the works of St Thomas, there is also Mansi's Sacrorum Conciliorum and the entire Dictionnaire de Théologie Catholique to give just a couple of examples. The files come with a request for donations - $10 per file or $500 for the whole collection. 40 Days for Life is an international pro-life initiative which takes place in many locations around the world. It involves prayer, vigils and community action to draw attention to the evil of abortion and to help people to understand the sanctity of human life. The philosophy of forms and the theology of the body have been the focus of the first two talks at the Faith Theological Symposium at Ampleforth. 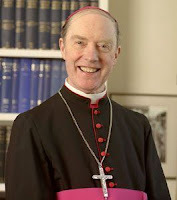 Fr Stephen Boyle this morning looked at some different ways in which Pope John Paul's "theology of the body" audiences have been interpreted, and showed that his emphasis throughout on the problem of concupiscence gives no room for some of the exaggerated ways in which people have spoken about the body. This afternoon, Fr David Barrett will be speaking about St Hilary of Poitiers. He will soon be defending his doctorate on St Hilary so it will be good to hear from him about one of my favourite Fathers. I'm afraid that internet access is a bit restricted since I have to use a computer in the hospitality office (office hours only.) I had to make sure that my Catholic Herald comment got in on time this afternoon. Comment moderation and further blogging will have to wait until tomorrow. Following the Holy Year for Priests, it is surely time to pray for consecrated women. Therefore, dear reader, we urge you to ask Ecclesiastical Authorities to dedicate a special year to give thanks to God for Nuns and to pray for Nuns and for more Nuns. What better way to do honour to St. Brigid? Please proclaim an Holy Year for Nuns! Beata Dei Genitrix Maria, * Virgo perpetua, templum Domini, sacrarium Spiritus sancti: sola sine exemplo placuisti Domino nostro Jesu Christo: ora pro populo, interveni pro clero, intercede pro devoto femineo sexu. Photographer Stephen Lipton provides an opportunity for us to rejoice in beautiful Church architecture. A correspondent who sent me some photos of really ghastly Churches pointed me to photos of St Aloysius Church in Glasgow. The Church was designed by architect Charles Menart and built between 1908 and 1910. These photos form part of a very impressive photostream on Flickr. Glaswegians may especially appreciate the set devoted to their city. Many thanks to Stephen for permission to post the photos here. 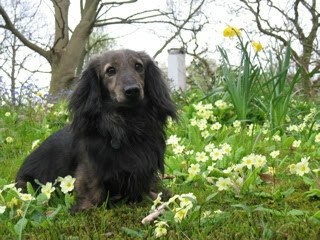 Oscar was a very good-natured dog. I am not at my ease normally with dogs but he was so friendly that he overcame my hard-wired anxiety which dates from my early childhood when I was bitten a couple of times by uncontrolled canines. Sadly Oscar has had to go the way of all flesh. Please pray for his owner to whom he was a good companion. 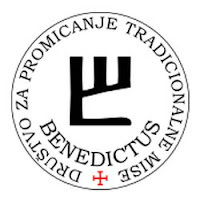 Congratulations to Benedictus, the Society for the Promotion of the Traditional Mass in Croatia. Tomorrow morning at 11.30am they have the first traditional Mass since Summorum Pontificum, arranged at the Church of St. Martin in Zagreb. 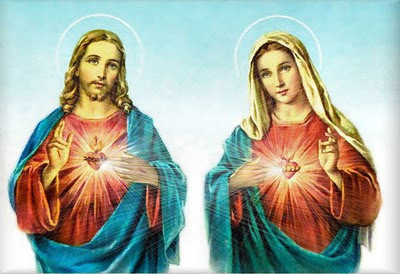 The Mass is scheduled to be said there at the same time every Sunday and Holyday from now on. 11.30am in Croatia is 10.30am in England so I will be celebrating the traditional Mass at the same time and will remember them at the altar. This development in Croatia has been followed at the Rorate Caeli blog (The PCED intervenes in Croatia) which reported on correspondence with the Diocese of Zagreb and the PCED, available in the original Croatian and in English translation. 1) For the Beatification Mass of Pope John Paul II, as made clear from the outset, no tickets are required. 2) The tickets provided by the Prefecture of the Papal Household for General Audiences and Papal ceremonies are always issued FREE of charge and no person or organization can request any kind of payment. 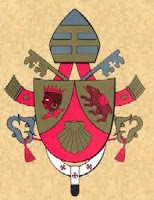 There have recently been reports of possible restrictions on the Motu Proprio Summorum Pontificum in the forthcoming Instruction which is to be issued in clarification. It should be added that these reports have been contradicted by other sources and so the situation remains a little confused. It would, of course, be a great pity if the Ambrosian rite were to be excluded from the provisions of Summorum Pontificum or if there were restrictions placed on Bishops wishing to use the usus antiquior for ordinations. One would hope that some recognition would be given to the magnificent response of the faithful to the provision of the traditional Mass as shown, for example in the above photo. Filipino boxer, Emmanuel Dapidran Pacquiao, generally known as "Manny" (or "Pacman") has fought at various weights in a glittering career and is regarded as the number one "pound for pound" boxer. Coming from a background of extreme poverty, he left home at 14 and lived on the streets of Manila. Married with four children, he was elected last May to the Filipino House of Representatives, representing the province of Sarangani. He is also a military reservist with the rank of Sergeant Major. Father Z has been busy designing new mugs. 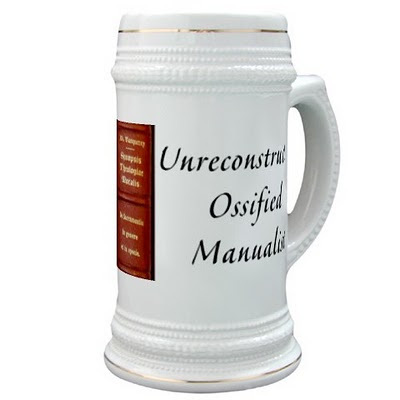 I enjoyed his post today about the Unreconstructed Ossified Manualist mug, "sure to bolster solid priests and annoy liberals everywhere." Father is right in pointing to the wholesale ditching of theological and moral manuals in the wake of the second Vatican Council. I hope you don't need me to point out that there is nothing in the Council to justify such a radical departure. There were some drawbacks with the manualist approach, particularly if the lecturer did not inject any life into the course or allow students to ask questions. We also need to take account of theology that has been written recently: further investigation of some of the work of St Thomas, for example (and possibly refutation of some of the wilder speculation which is contrary to the magisterium.) The moral manuals would have needed new material on bioethical questions and social teaching. Earlier this week I stayed on at the Seminary at Wonersh for an extra day in order to take part in the celebration of St John's Day. The feast day of the principal patron falls on 27 December when everyone is away, so each year another day is chosen to venerate him during the term. On Monday evening there was solemn first Vespers with the Rector, Mgr Jeremy Garrett, as celebrant, and two cantors in copes. After supper there was an hour of adoration of the Blessed Sacrament, concluded by sung Compline and Benediction with one of the recently ordained Deacons as celebrant. For Lauds on the morning of the feast, the Rector was again celebrant for the solemn sung office. At the Mass, Archbishop Peter Smith was celebrant, assisted by several other Bishops and priests, with silver jubilarian Fr Rags Hay-Will preaching. 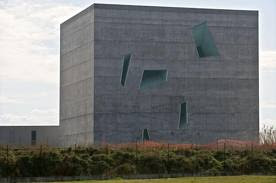 "That is a bomb shelter, right?" was one Lux Occulta's reaction to the Church of San Giacomo at Foligno, pictured in my post Storms brewing over Church architecture in Italy. Today I received an email from Simon Cotton which makes me think that the comment was unfair to bomb shelters. A church is a church, but hundreds of years ago it might be the only substantial building in a community. When danger threatened, it was a natural refuge, and if danger persisted it was only natural to make it more secure, by fortifying it. 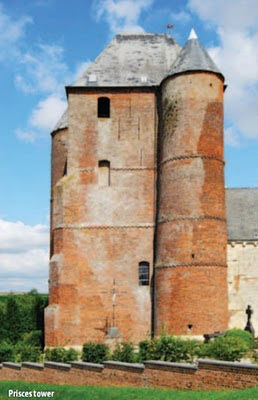 The finest collection of these (see New Directions Jan 2010, p. 18) is in the region of NE France called the Thiérache, where most fortifcations that remain today are in 16th and 17th c. brick.The photo above, copied from Simon's article, shows the fortified towers of the Church of the Nativity of the Blessed Virgin in Prisces. "Just another ape?" is the title of Helene Guldberg's book examining the difference between humans and chimpanzees. In the January 2011 Spiked review of of books, in the article "The chasm between great apes and people" she looks at Jon Cohen's "Searching for What Makes Us Human, in Rainforests, Labs, Sanctuaries, and Zoos" and Jeremy Taylor's "Not a Chimp". The subheading for her article is "For all the claims that apes and humans are genetically ‘98.5 per cent the same’, there is still an unfathomable gap between us." Spiked is a generally left-wing publication which prides itself on being "freethinking" and liberal; there is certainly much with which any orthodox Catholic would disagree. However it has a refreshing ability to question commonly held secular opinion. Helene Guldberg's article is a good example of this. [...] in which we find ourselves lost as in a conference hall, distracted as in a sports arena, packed in as at a tennis court, degraded as in a pretentious and vulgar house.Paolo Portoghesi mentioned specifically the three Churches that had won the Italian Bishops' Conference national architectural contest in 2000: those built in Foligno by Massimiliano Fuksas (above), in Catanzaro by Alessandro Pizzolato, and in Modena by Mauro Galantino (below). Chen Guangcheng is a Chinese lawyer who exposed and spoke out against the policy of forced abortion and sterilisation in the Shandong Province. More than 130,000 women were forced to have abortions as part of the coercive one child policy. He was convicted and sentenced to four years in prison. In 2006 I wrote about the Jubilee campaign to free him. He was not freed and so in 2009 I wrote about the petition to the Prime Minister to Free Chen Guangcheng! Last year he was let out of prison after serving the full four year sentence. 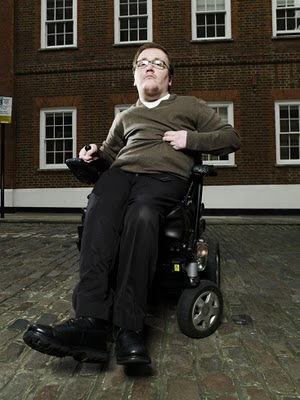 However, as Pat Buckley of the European Life network reports, he is still under persecution. Chen is under illegal house arrest, with himself and his family, under intrusive surveillance each day by three shifts of agents, each shift comprising 22 people. Only his 76 year old mother is allowed to go out to buy food. Former Anglican Bishop, Edwin Barnes, was ordained to the Diaconate this morning by Bishop Crispian Hollis in his private chapel. Rev Barnes' ordination to the priesthood will take place on Saturday 5 March. Rev Barnes was a Provincial Episcopal Visitor, known colloquially as a "flying bishop" and he will be a trusted friend for many Anglicans who are considering taking the step of joining the Ordinariate of Our Lady of Walsingham. His Ancient Richborough blog has always been an encouragement to Catholic-leaning Anglicans. I owe it a personal debt of gratitude too, since it has for some time provided me with good number of visitors every day. Do read Rev Barnes' post More Revs from which I took the above photo. To the left of Bishop Crispian is the ever cheerful and sound Deacon Stephen Morgan. 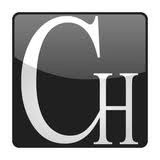 About.com is now running a poll for the Readers Choice Award 2011 for the best Catholic newspaper. The Catholic Herald is included in the five finalists. The others are all US papers: the National Catholic Register, the National Catholic Reporter, Our Sunday Visitor, and The Wanderer. At the time of writing, the Herald is third. That's not bad at all but a concerted effort from the British Catholic blogs could move it up. Vote here!. Voting ends on 8 March. I was getting annoyed with the slow and jerky behaviour of the blog when scrolling down or when pressing "page down". I guessed that it might be the re-painting of the screen with the background picture. Having turned off that setting, it now scrolls properly. The other day I also changed the post colours to pure white on pure black rather than light grey on dark grey. I hope that improves things a bit for those who don't like white on black. I'm inclined to keep that for the posts because it does provide a much better setting for photographs. Some time soon, I will adjust the picture to show more of the Tiber - at the request of Sir Dan of the Nesbitry. 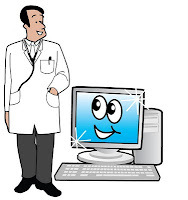 I'm currently blogging from the waiting room at the Birkbeck Dentistry in Sidcup. My dentist, Peter Walsh has been drilling away at a damaged tooth with an old filling, to prepare it for a ceramic reconstruction. The resulting hole is sprayed with reflective powder and a 3D image is taken. A machine then buzzes away to construct a ceramic copy to fit the hole exactly (I suppose there must be some kind of tooth-printer driver.) 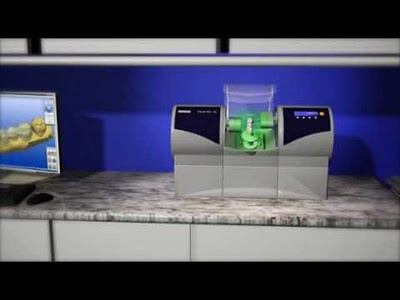 When that is done, the ceramic piece is inserted into the tooth and bonded to the tooth by ultra-violet light. Each year in October there is a pro-life pilgrimage to Walsingham. It has been announced that this year's pilgrimage will be led by the great Bishop O'Donoghue of the highly acclaimed Fit for Mission documents. The Pilgrimage will be on Sunday 2 October. Unfortunately, as it is on a Sunday, it is not possible for me to go, but I do encourage all good pro-lifers to put this in your diary. It might be an occasion for people to talk together about the possibility of a March for Life in London. "Oh there will only be a few." This was almost a mantra in the months leading up to the establishment of the Ordinariate of Our Lady of Walsingham. It seems that the "few" is a couple of hundred here, a couple of hundred there, along with various groups of several priests. 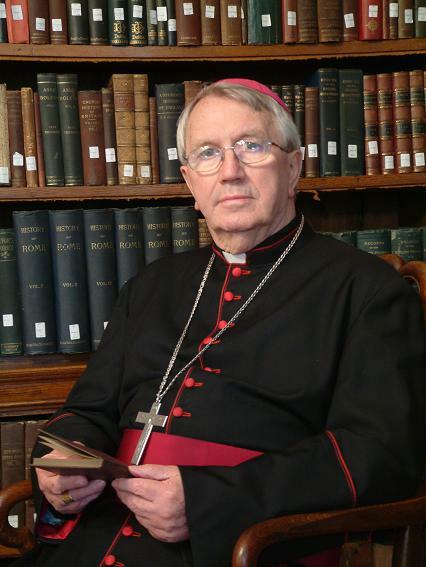 Fr John Boyle has picked up on an article in TotalCatholic which reports that seven Anglican priests and 300 lay people from six congregations within the territory of the Diocese of Brentwood are to join the Ordinariate of Our Lady of Walsingham. 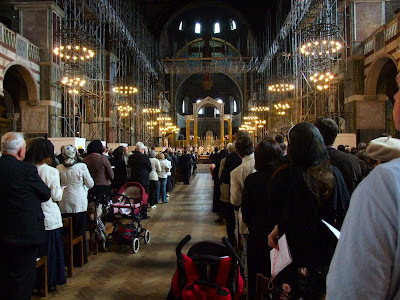 This means that significantly more ordinations and receptions are foreseen this year for the Ordinariate alone than the yearly average figure for dioceses in England and Wales. Many thanks to Joan in the combox for pointing me to this video of Gounod's À la Madone sung by Andrea Bocelli with some devotional filming of the veneration of a statue of the Madonna. The work is nearly finished and we are all hoping that this will solve the problem of a couple of stubborn leaks that show themselves every time we have heavy rain. The monks of Saint Joseph de Clairval Abbey in Flavigny, France, will be giving a five-day (silent) retreat for men this August, following the Spiritual Exercises of St Ignatius. The retreat will be from Thursday 18 August to Tuesday 23 August 2011, at Pantasaph in North Wales. Mass will be celebrated each day during the retreat according to the Extraordinary Form of the Roman Rite. This would be a good advertisement to show to young people wondering about going to World Youth Day. It is made by Grassroots Films - the ones who made "Fishers of Men." 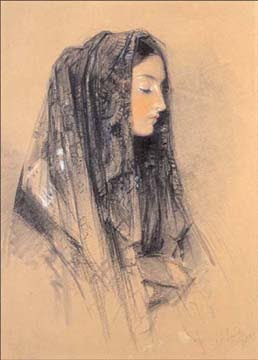 Fr Z has a mantilla poll - well actually they are usually called "chapel veils" in the US, I think. The poll asks: "Should women in the Latin Church wear some kind of head-cover in church?" and gives a number of possible responses. Go over and cast a vote: it would be interesting to see how this turns out with a reasonably large number of respondents. Rev Bugnini no less! The clipping has no date but it refers to the Congregation for Divine Worship as "new." The CDW was erected on 8 May 1969. 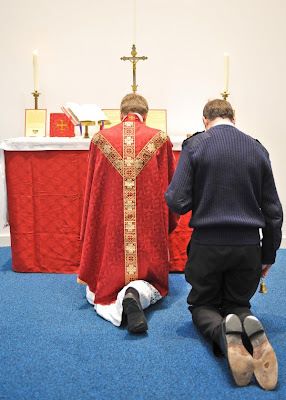 Last Tuesday, the feast of St Ignatius of Antioch, Fr Armand de Malleray FSSP celebrated Mass according to the usus antiquior at the UK's Operating Headquarters at Northwood. There is normally no more than a handful of people at Mass so getting fifteen people along was a bonus at a base where there is a constant high tempo of activity. Fr de Malleray heard confessions before Mass and gave a sermon in which he reflected on sacrifice and the love of God, and on St Ignatius' witness as a martyr. He also spoke about the meaning of true Christian martyrdom out of love for God and neighbour, in contrast with the hate of terrorists who kill themselves in order to harm others. At a small reception afterwards, Fr de Malleray was able to meet the military and civilian Catholics at the HQ. About half the congregation were unfamiliar with the older form of the Mass but many were enthusiastic about attending such a Mass again. I was grateful for the link to the collection of Fr Most's works at the Catholic Culture Library. 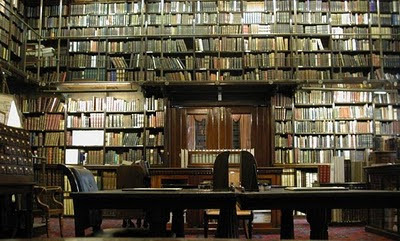 Have a look also at the main page of the library - there is quite a large collection of articles there. 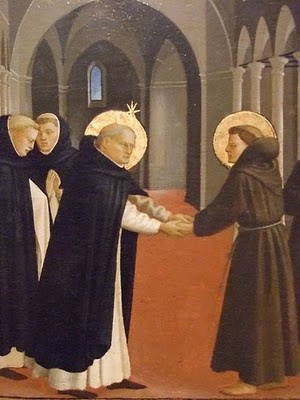 Fr Andrew Brookes OP answers a question today: Quodlibet 34 - The differences between Dominicans and Franciscans?. I must confess that when I saw this in the feed reader, I thought it was going to be a humorous answer as there are many jokes about such questions.